Elementary: Chorus is open to all interested 4th and 5th graders. The Chorus performs at the Elementary Christmas program each December and serves as the backup chorus for the Junior High Chorus Spring Musical in April. The group practices every Tuesday morning that school is in session. Rehearsals are from 7:45 – 8:15 am in the Music Rm. 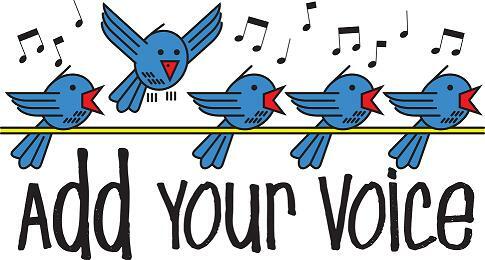 Junior High Chorus: The JH Chorus is open to all interested 6th, 7th, and 8th grade singers. Chorus meets during Study Hall until 3:30 on Tuesdays and Thursdays. The JH Chorus performs two programs during the school year. The Christmas Program is held in December in the cafeteria and features seasonal music as well as other favorites. In April, the group presents its Spring Musical, featuring singing, dancing, and a story sure to delight all audiences. Cantors Ensemble:The Cantors Ensemble leads music for the Wednesday masses. The ensemble consists of volunteer singers from the 7th and 8th grades. Rehearsals are scheduled on an as needed basis.